A 104 year old woman from the UK has been ticking things off her bucket list, since she’s been in a care home the past 10 months. 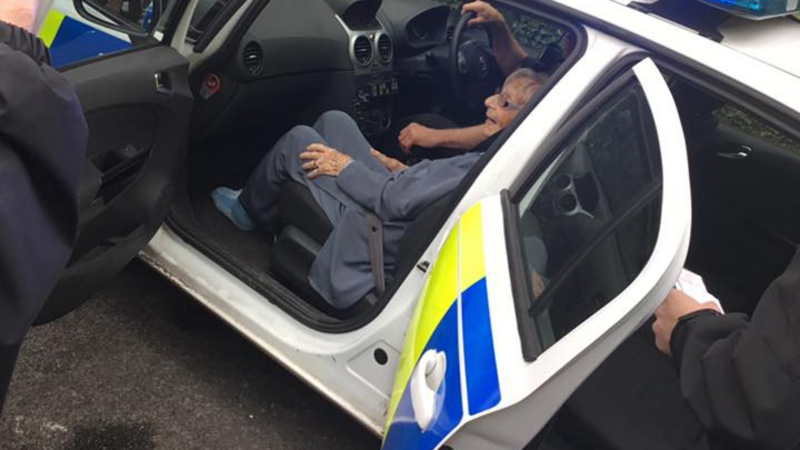 She is a cheeky grandmother and she really wanted to tick this one off her list… To be arrested. She’s never said a foul word or broken any law, but really wanted to be locked up. She had the police officers come in, handcuff her and put her in the back of the car for a drive. She had the works! The police arrested her for being a good citizen the past 104 years! Anne the cheeky granny said it was a lovely day, and she’s going to be much more careful of what she says and do now so she doesn’t actually have to be arrested.